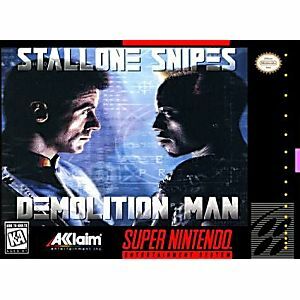 Demolition Man SNES Super Nintendo Game Cartridge Cleaned Tested and Guaranteed to Work! Two men enter the future, bringing with them the values of a brutal past. One cop. One criminal. 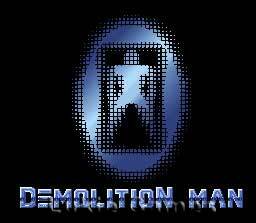 One mission: destroy the other man first! 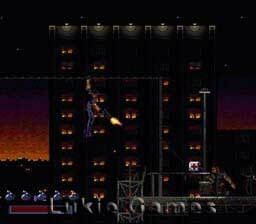 You're John Spartan, freshly dethawed from the San Angeles Cryo-Prison. Armed with shotguns, magnum handguns and grenades, hunt Simon Phoenix through 10 explosive levels from the ravaged Wasteland to the Hall of Violence! 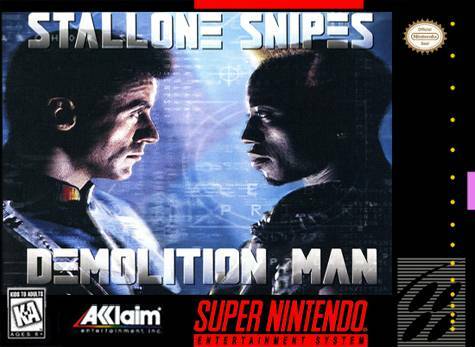 Be Well, DEMOLITION MAN... you're the future's only hope!